Supercross Futures AMA National Championship is the official advancement platform of Monster Energy AMA Supercross, an FIM World Championship. 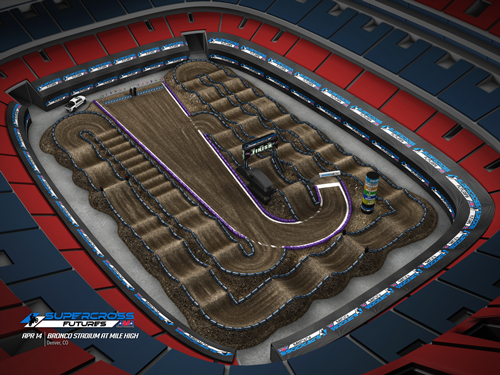 The series provides an exclusive opportunity for amateur competition on a full-size, Supercross track. 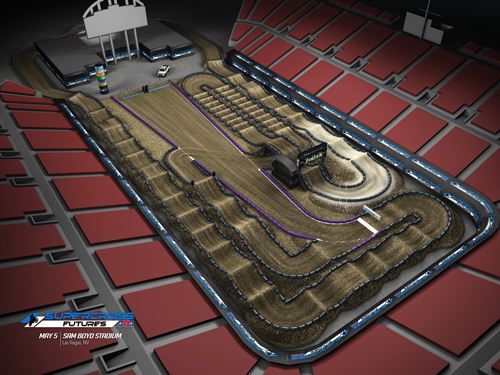 This experience is designed to produce a higher-quality, more competitive stadium racing landscape with an advanced path to Monster Energy Supercross. It’s the start of an incredible career pursuing and competing in a sport followed by millions of fans. And it’s something that all riders will remember long into the future. 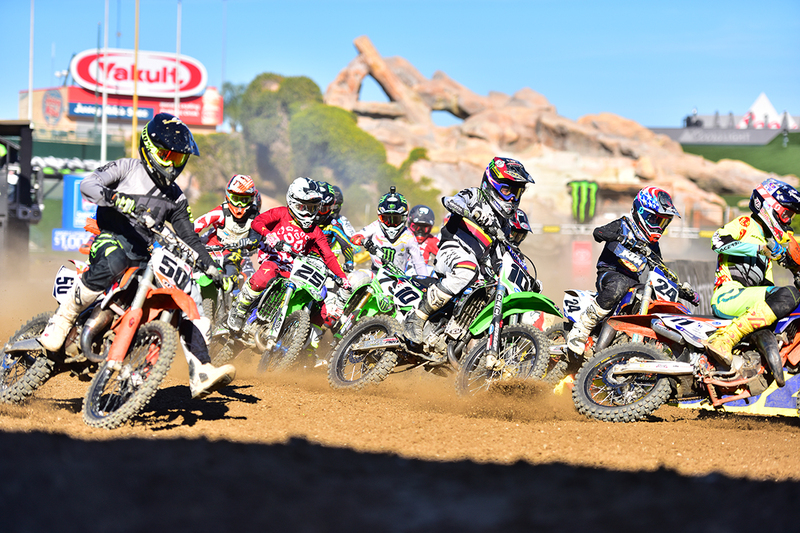 Supercross Futures is comprised of 8 events leading to an AMA National Championship with approximately 6100 amateurs competing in 26 classes—beginning with 4 year-olds in the 51CC Limited class…through the elite 250SX Futures class. 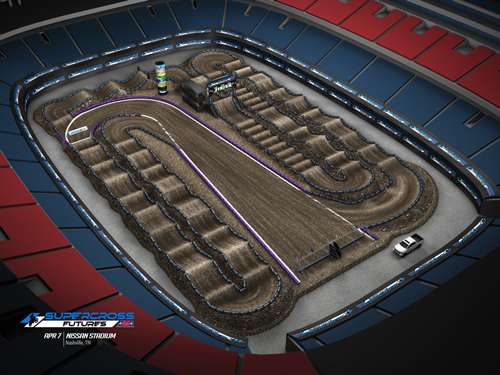 Buy Supercross Futures Tickets NOW! 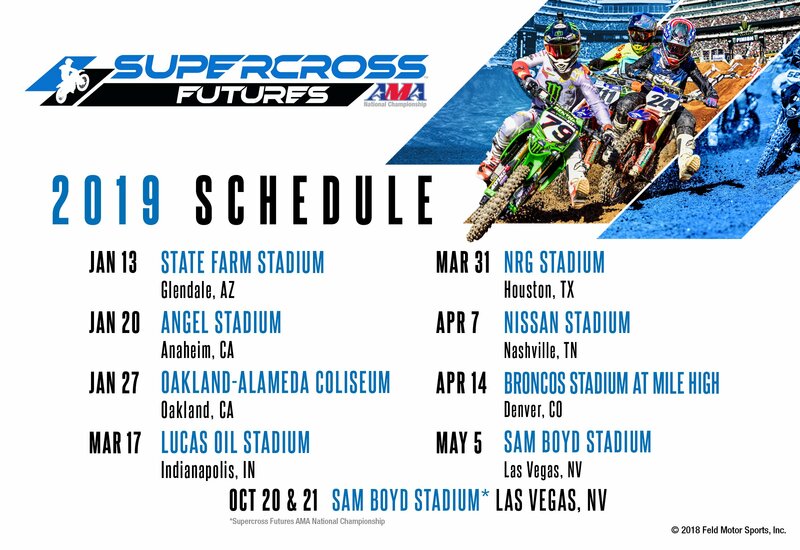 2019 Supercross Futures AMA National Championship Coming Oct 20-21 at Sam Boyd Stadium in Fabulous Las Vegas, Nevada!